Clean, rock solid, and straight forward, Cassia excels as a dependable blog eager to take on any genre of content. 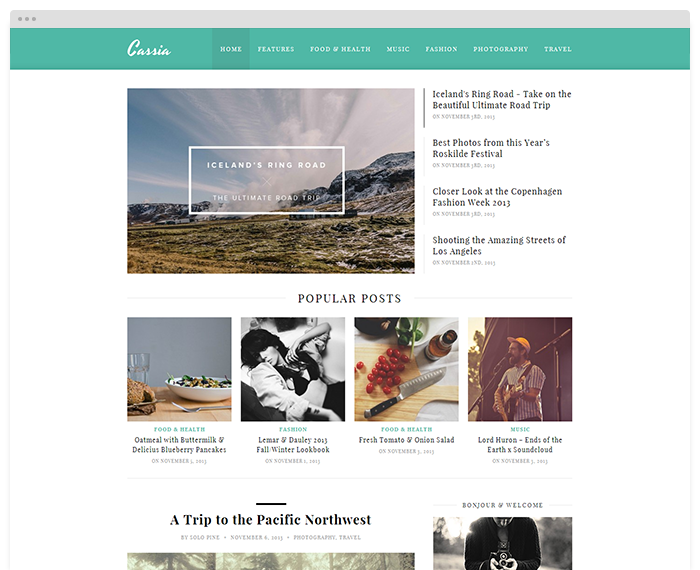 Elegantly showcase your articles, photos, videos and more via either of Cassia's fresh full-post or list layouts. Whatever the subject matter, ensure your blog stands out with Cassia!